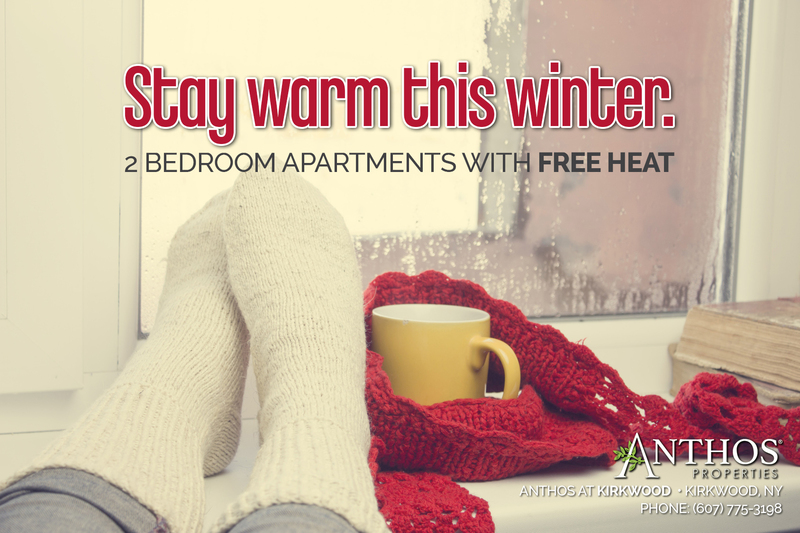 Cold winter months are upon us and if you’re looking to stay warm and cozy inside your new apartment with Free Heat this winter, check out Anthos at Kirkwood. 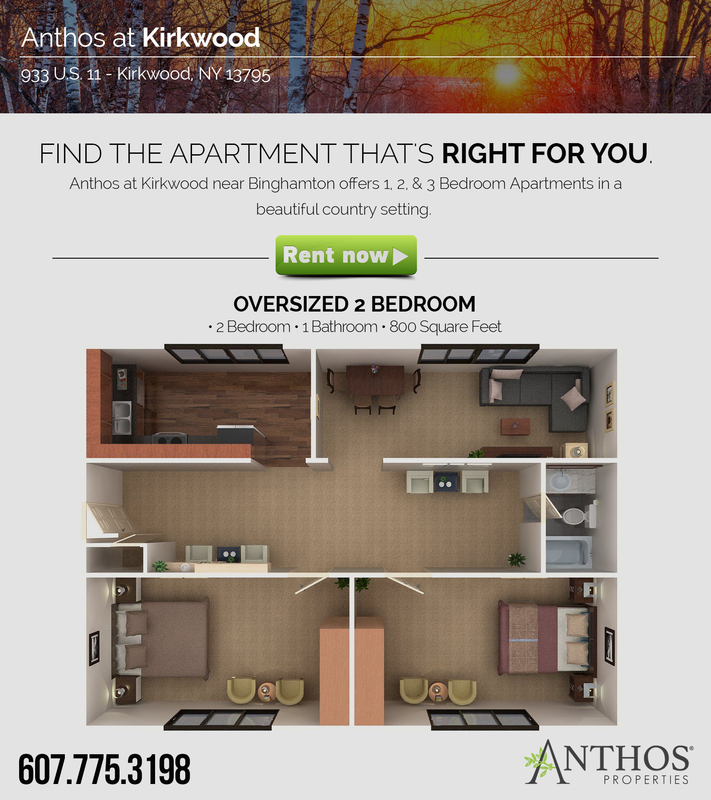 Now is the time to move to Anthos Properties in Kirkwood NY.  On top of the Free Heat you will enjoy, we also offer Free Hot / Cold Water, Free Indoor Storage, Lots of off street parking, No Cost for Trash Removal and Lower Rent. This property is surrounded by beautiful mountains in the small town of Kirkwood, NY. Located only minutes from Binghamton, NY. Enjoy the peace of small town living with the convenience of city shopping, dining and all it has to offer. What’s near Anthos at Kirkwood? Fantastic size kitchen with range / refrigerator, cupboards and counter space. Large double pane window letting in lots of natural sunlight. Enjoy entertaining in your spacious living room with new carpet, large sunny windows, cable ready, freshly painted and room for large furniture. Both bedrooms are amazing and have huge closets and large windows. This is a beautiful apartment just waiting for the right person and decor to make it a true home. Enjoy the convenience of parking right in front of your new home, the convenience of having laundry in the building (never having to go out in the cold to do laundry). Enjoy the summer months with neighbors, friends and family BBQing and enjoying the open green areas. The pond is right across from this apartment and is home to different species of wildlife. We are located in the Windsor School District home of the Black Knights. We are pet friendly with some dog restrictions and a 1 time only non refundable pet fee.